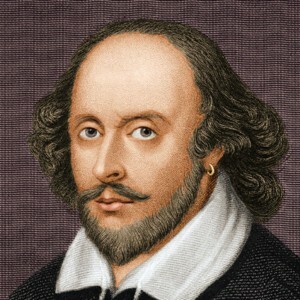 April 23, 2019, marks what would have been the 455th birthday of England’s greatest playwright, William Shakespeare. His plays are still hailed as the pinnacle of literature and hundreds of his coined phrases are still in wide usage in modern Britain and around the world. The Bard’s influence on our language and culture is still impossible to escape and even those who “don’t do Shakespeare” unwittingly channel his words in their daily lives. Here are just a handful of popular sayings that came courtesy of Shakespeare. This phrase is regularly shortened to “as luck would have it”. It originates from Shakespeare’s The Merry Wives of Windsor in 1600. Falstaff utters the line. Meaning “regrettable and unwelcome” or someone of untidy appearance. First used in Macbeth by Shakespeare’s titular tragic hero when he looks at his hands. “A foolish thought to say a sorry sight” replies Lady Macbeth. Said by Miranda in 1610’s The Tempest among others: “Yes for a score of kingdoms you should wrangle / And I would call it fair play.” Widely used to mean fairness and justice in a variety of contexts. Most people have used this phrase to express joy or relief when an annoyance disappears. Back in Shakespeare’s day “riddance” meant “deliverance from” or “getting rid of” but it is now only rarely used outside of the saying. Portia wishes the Prince of Morocco “a gentle riddance” in The Merchant of Venice but it is thought to have been used before that. Chaucer first used this phrase in 1405 but Shakespeare made it more commonplace by including it in several of his plays. Jessica in The Merchant of Venice says: “I am much ashamed of my exchange / But love is blind and lovers cannot see / The pretty follies that themselves commit.” It can also be heard in Henry V and Two Gentleman of Verona.